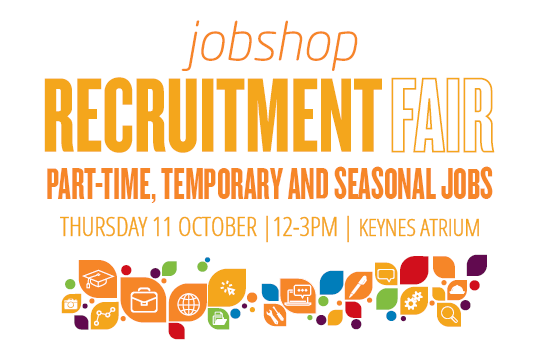 We would like to invite all our Canterbury students to our first Recruitment Fair of the year taking place in Keynes Foyer on Thursday 11 October from 12.00 – 15.00. If you’re looking for paid part-time, temporary or seasonal work, come along and meet employers face-to-face who are hiring students for their organisations! Find out more via the Facebook event here. This entry was posted in Medway Student, Student Guide on 1 October 2018 by Annabel Chislett.